2019 brings in a clean slate waiting to be filled with unforgettable trips. But with so many sights to see in the Philippines, where do we even begin? We know that the wanderlust is strong as early as now, and most of us are already itching to plan our next escapades for the summer and beyond. That’s why we’re here to help you map out your travel plans this year so you can enjoy the destination for what it’s worth—that means no island-hopping cancellations and rainy days on your beach trips. 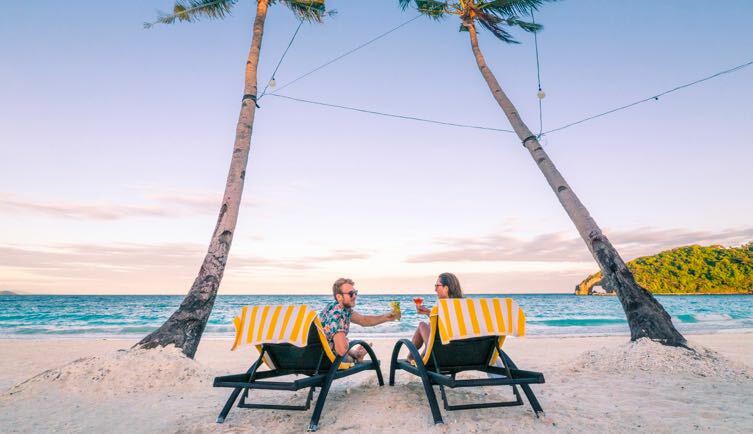 With our Save Now, Travel Later getaway steals, you’ll be able to secure best-priced vacation packages that are valid until December 2019. The only catch? These deals are available for a limited time only, so you better hurry and get a headstart on your travel plans with your family and friends! Aptly known as the City of Love, Iloilo is a city that’s not difficult to fall in love with. 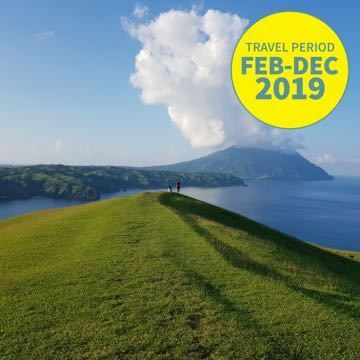 In a nutshell, it encapsulates what the Philippines is known for: beautiful beaches, affordable local delicacies, friendly locals, and rich history. 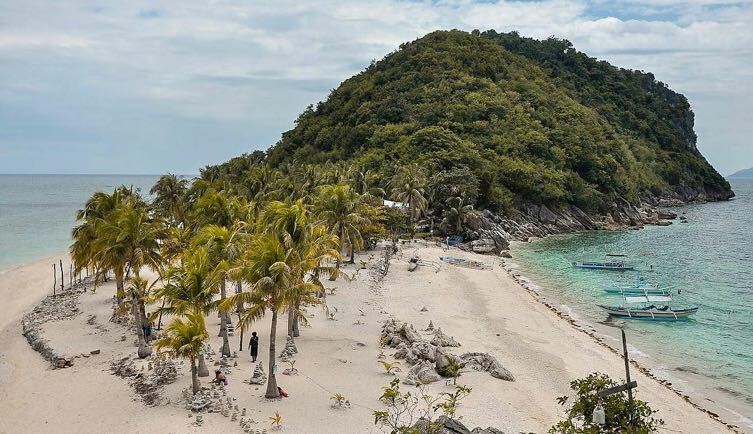 For those who want a little fun under the sun, visit Islas de Gigantes, one of Iloilo’s buzziest attractions. January-February is the perfect time to go on an island hopping tour as waves during this time are relatively calm. 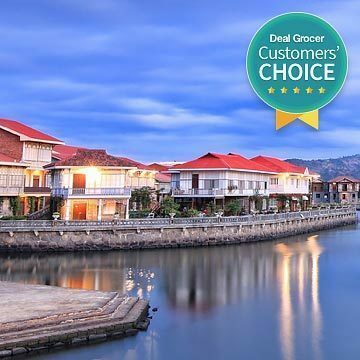 Seafood lovers can delight in the fact that Islas de Gigantes is also known as the ‘scallops capital of the Philippines’—you can buy them at ₱1 a piece! 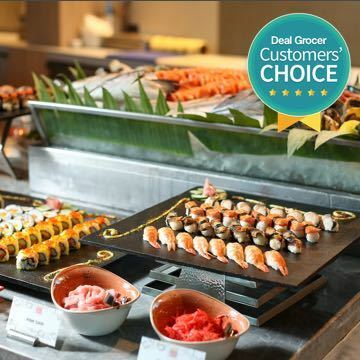 Here, you can dine on fresh seafood as the islands have an abundance of fish, squid, crabs, shrimp, and many more at lower prices. 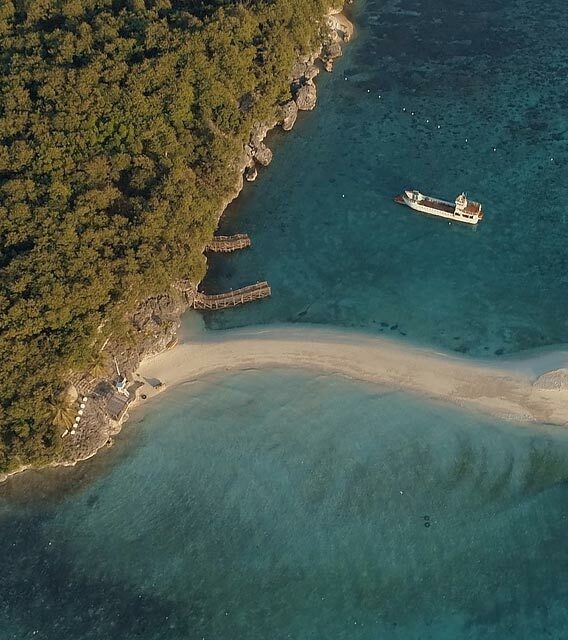 Known as the first luxury spot and the only accommodation in mainland Carles, Solina Resort provides a convenient base camp for your island hopping escapades. It’s a convenient 10-minute boat ride to Carles port, where your island hopping adventure starts. Rooms here are fully equipped with modern amenities such as air conditioning, private toilet, and hot and cold showers. At Solina’s recently opened rooftop bar, Dayon Tower Bar, you can enjoy stunning views of the ocean with a cocktail or a cold beer in hand and the salty cool breeze around you. 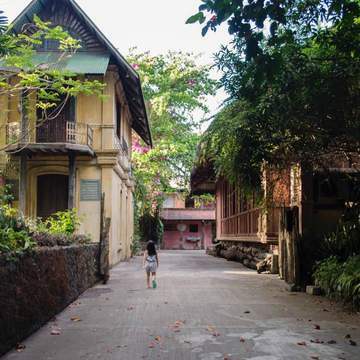 Named after the Philippines’ national hero, Jose Rizal, this up-and-coming locale is indeed home to plenty of cultural and historical treasures. For nature seekers, Rizal is also popular for the hikes you can go on at Mt. Balagbag, Mt. Daraitan, Mt. Pamitinan, and Mt. Ayaas, to name a few. 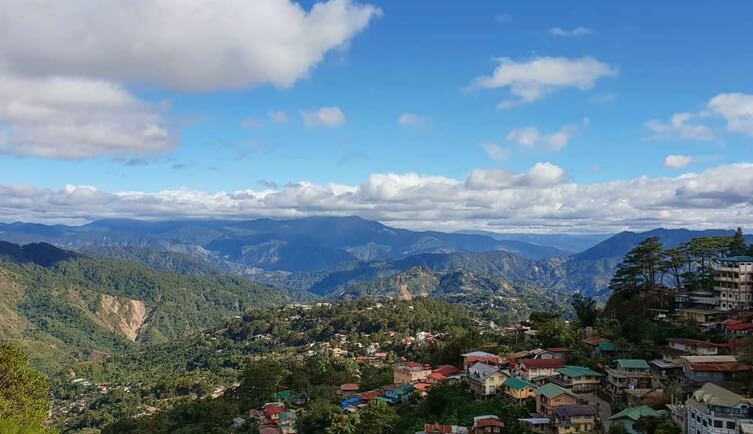 Often overlooked by many weary city folks looking for quick R&R, Rizal is perfect to relish the last days of cold weather before summer officially starts. 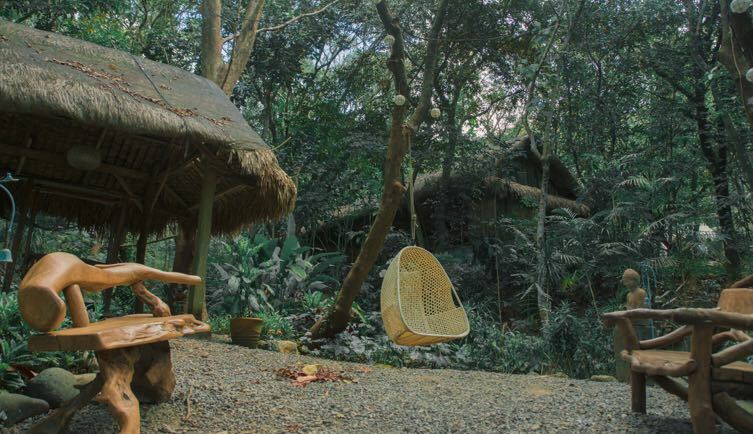 This 36-hectare forest sanctuary rests on the foothills of the Sierra Madre Mountain Range in Calawis, Antipolo. If you’re tired of the metro’s traffic and bustle, this down-to-earth retreat is where you can disconnect (there's no Wi-Fi!) and enjoy the outdoors while the temps are comfortable. Mount Purro’s rustic ambiance provides the perfect setting for you to clear your mind, body, and spirit for the year ahead. 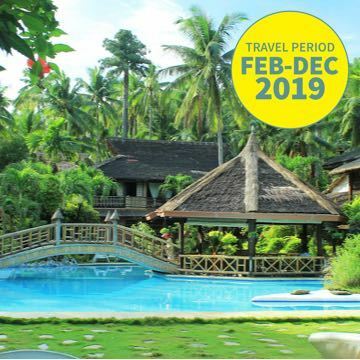 Connect with nature through its excellent hiking trails, river trek, and even a scheduled Dumagat Cultural Immersion & Cooking Demo. To say that the Hidden Paradise of the North exudes a surreal appeal of its own is truly an understatement. 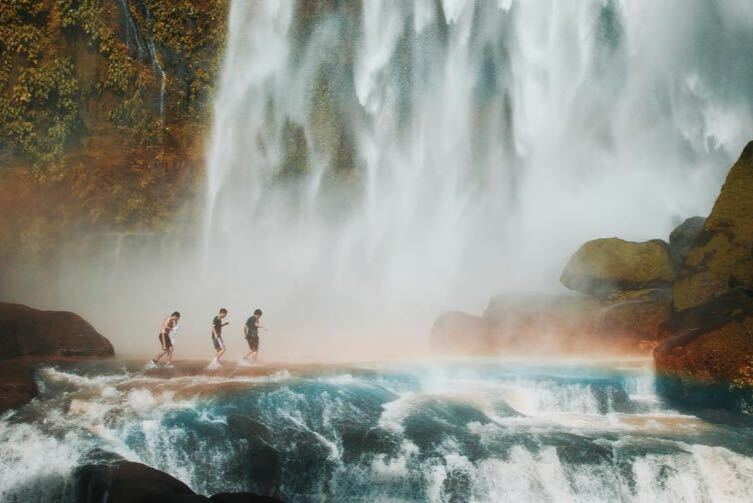 While it’s the smallest province in the Philippines, the vast natural wonders and rich culture make it one of the most enchanting destinations in the entire archipelago! 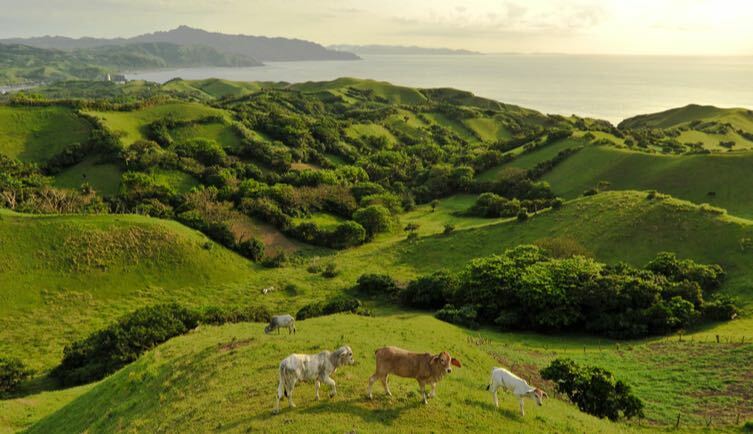 Be swept off your feet by Batanes’ gorgeous postcard-worthy views at Vayang Rolling Hills and Mt. Carmel Chapel in Tukon, no filter required. Their traditional stone houses continue to stand strong—an impressive reflection of the Ivatans’ commitment to environmental sustainability and preserving their storied past and fascinating culture. The weather can make or break your Batanes trip, especially since boat trips to Sabtang Island can get canceled due to unsafe weather conditions. The best time to go is in the month of February since it’s neither too cold nor too rainy. 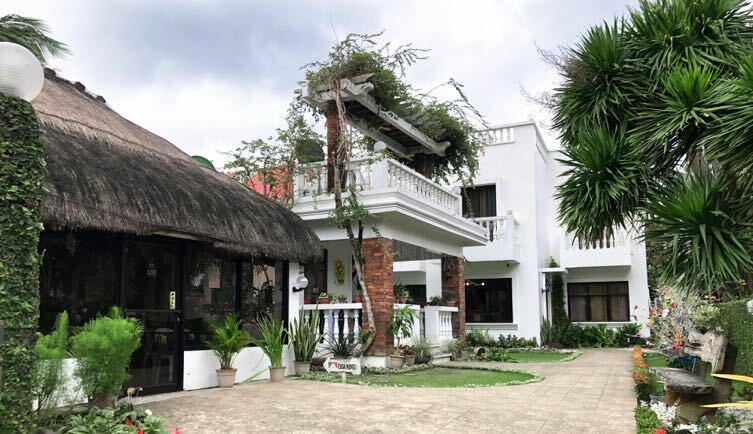 Located just five minutes away from the Basco airport and town proper, this cozy hotel will make your vacation the epitome of adventure and relaxation. Bloggers have raved about the hotel’s pristine facilities and comfortable setting—a perfect respite after a day of sightseeing. 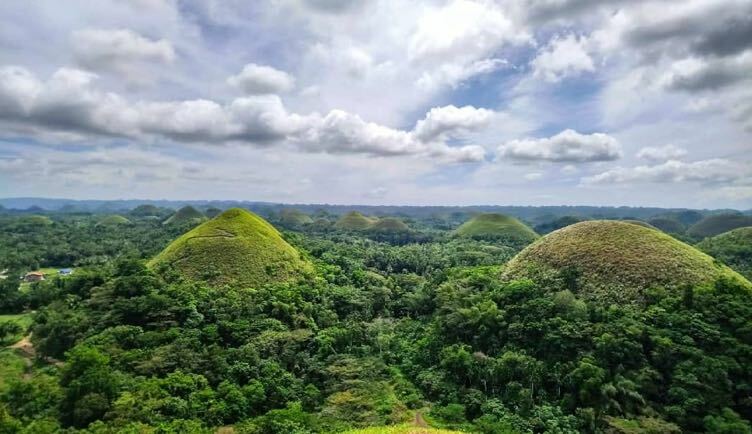 While wide-eyed tarsiers and the Chocolate Hills are the images that immediately come to mind, Bohol offers so much more. Whether it’s island hopping, sightseeing, or thrill-seeking adventures, Bohol’s activities are varied and plenty. 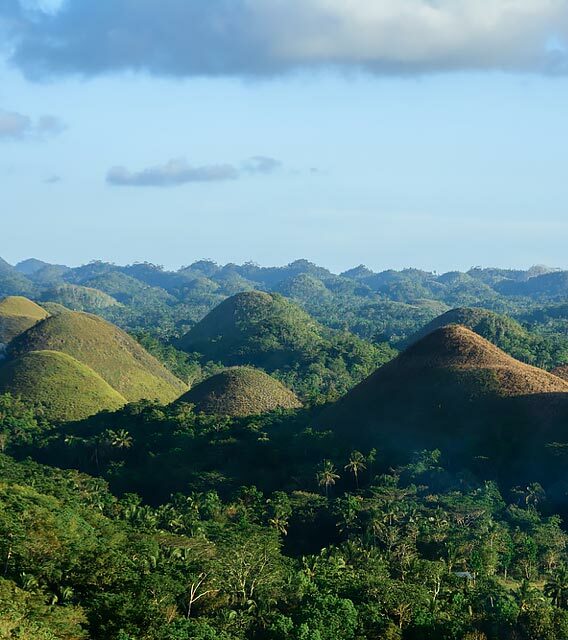 The must-see Chocolate Hills are best visited in March when they turn a rich chocolate brown. There is also a higher chance that the Loboc River’s waters will be a gorgeous turquoise green (it usually turns brown during rainy season). It’s experienced through the popular River Cruise, where you’ll get to enjoy a delicious lunch buffet on a boat, complete with a live band plus quick stops to enjoy music and dance performances by locals. 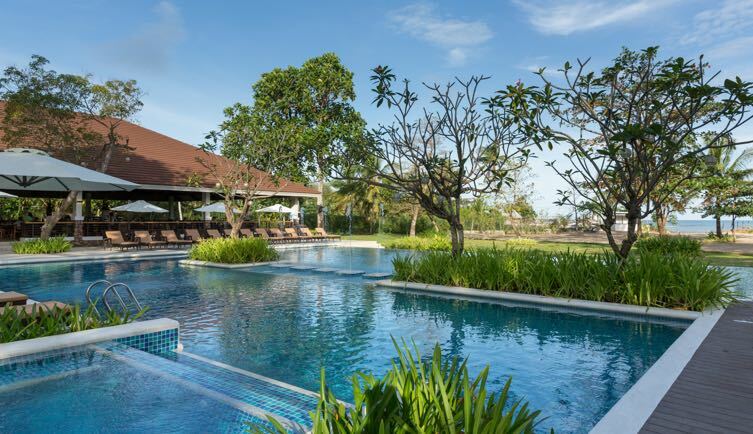 This Bluewater resort remains to be one of the most sought-after retreats in Panglao. Guests can enjoy the centerpieces of the resort: two lagoon-shaped pools and cascading waterfalls. 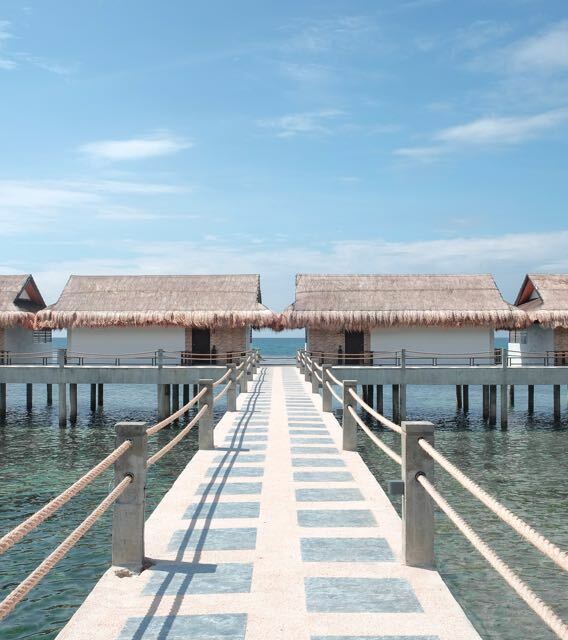 A short yet private stretch of white beach is also an exclusive incentive for guests craving privacy. Thrill-seeking activities for the more adventurous also await at their aqua sports facility—from snorkeling, diving, sailing, scuba-diving, island-hopping and more. 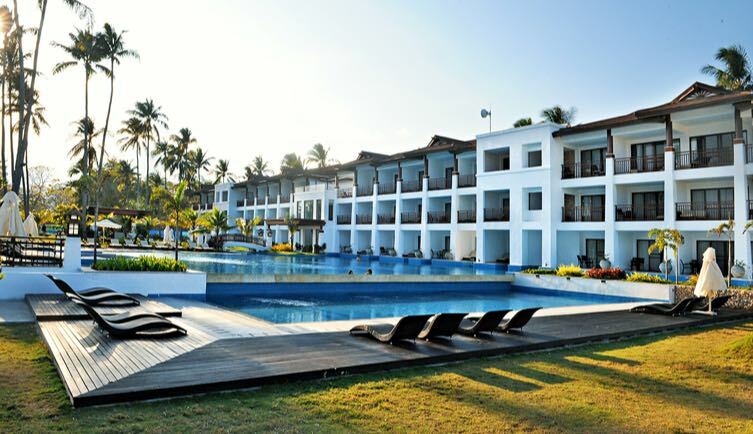 World-class luxury meets Filipino hospitality at this prestigious 16-hectare resort in Panglao. 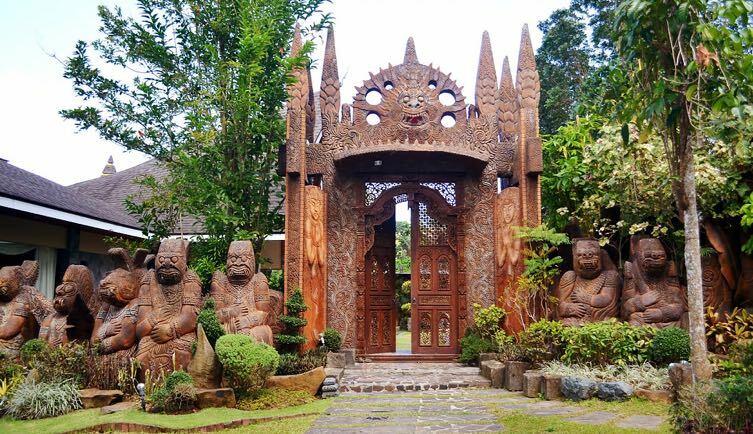 This resort takes pride in exhibiting the Filipino culture, heritage, and values through its hospitality and touches of native architecture. It’s also internationally acclaimed, having been the only resort in the Philippines featured in National Geographic Traveller (UK) Spa & Wellness Collection 2017! A gorgeous sea-facing infinity pool and an expansive private beachfront are also some of Eskaya’s tropical luxury comforts. 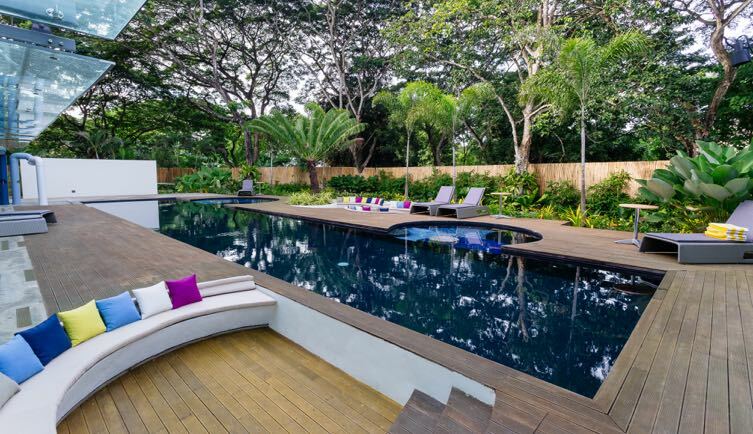 For added privacy, their bahay kubo villa accommodations even come with their own pools. If privacy is a top priority for you, Peacock Garden is your best option. Tucked in the quiet town of Baclayon is this dreamy boutique hotel that exudes old-world European charm. While it may not offer quick access to the action-packed Panglao, The Peacock Garden makes up for it with its vintage charm (take some time to marvel at the owner’s antique collection that’s scattered across the hotel) and the absolute scarcity of crowds. 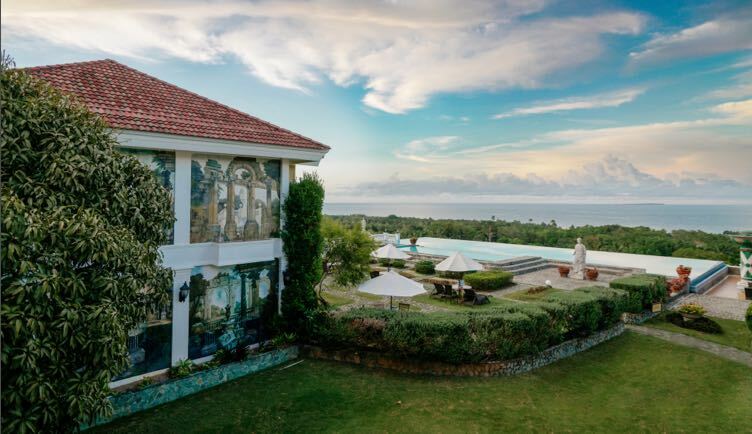 Its breathtaking views of the sea, cobblestone paths, and well-manicured gardens are plus points as well. Don’t forget to drop by their Roman-inspired Fontana Aurelia Spa for a blissful spa treatment. Fun fact: Fontana Aurelia was also featured in Conde Nast’s Luxury Spas guide book! 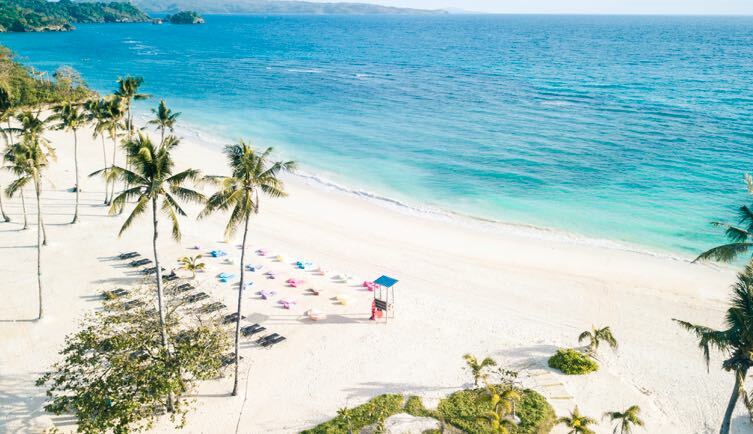 Boracay was once synonymous to a world-class beach paradise with an endless stretch of powder-white sand and crystal blue waters fringed with palm tree-lined shores. However, this led to a string of excesses: overdevelopment, pollution, and too many tourists led to its inevitable (and necessary) closure for a six-month rehabilitation period. While half a year may not be enough to restore its glory to pre-Laboracay era, the government has taken steps in the right direction—a ban on big parties and single-use plastics, plus stricter rules and regulations for incoming visitors. Now it’s time to experience Boracay as a laid-back getaway with cleaner shores and less crowds. 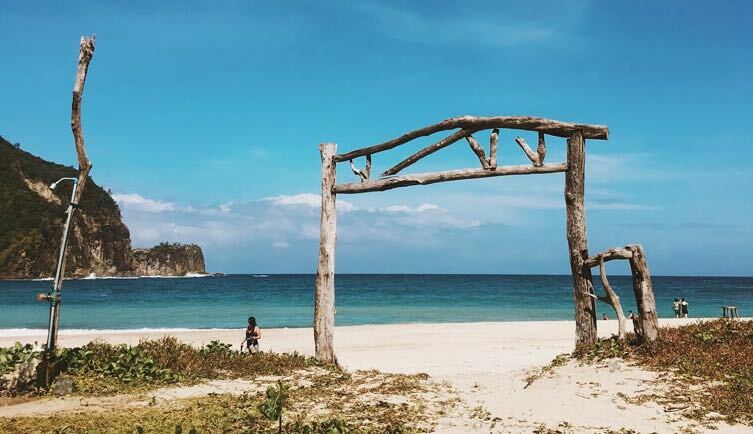 Aside from the famous White Beach, don’t forget to check out other beach alternatives that offer a quieter side of Boracay: Puka Beach, Bulabog Beach, Diniwid, Tambisaan Beach, Ilig Iligan Beach, and Balinghai Beach, to name a few. 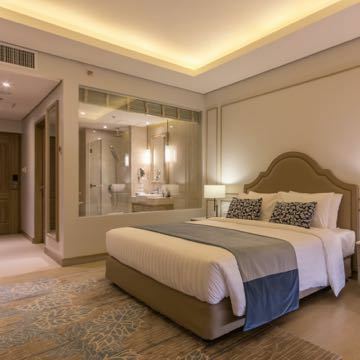 A new and up-and-coming Boracay masterpiece tucked in the quieter side of the island, Savoy Hotel Boracay offers guests the grandeur of a vibrant big-city hotel married with a contemporary beach lifestyle. 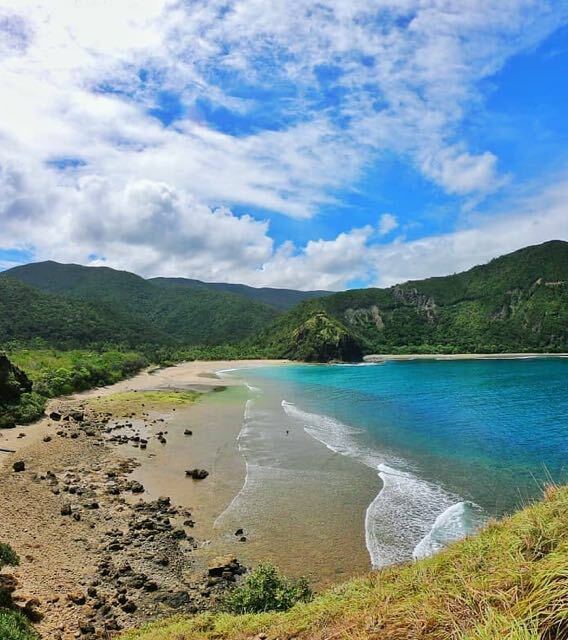 A 10-minute walk will lead you to Newcoast Beach, a private beach much quieter than White Beach—on some days, it feels like you have it all to yourself! Palawan boasts a treasure trove of natural beauty that is nothing short of breathtaking. 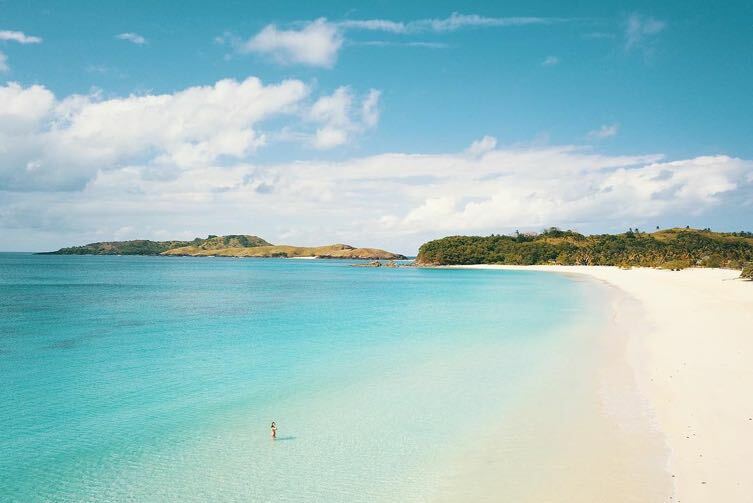 It’s no wonder that it was once voted the “Top Island in the World” by Conde Nast Traveler Magazine. 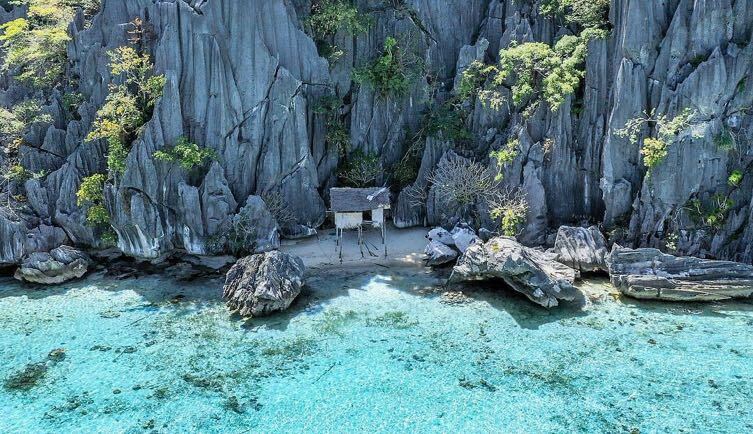 This world-renowned destination is where some of nature’s grandest displays of beauty lie, such as Puerto Princesa’s Underground River, Coron’s Kayangan Lake, and El Nido’s picturesque beaches. With the sun still out, May is the ideal time to go island hopping and sightseeing. Hands down, this is the only place in Coron that meets the standards of the most discerning luxury travelers. Spend a few days in tropical heaven at this world-class paradise and enjoy privacy at its best. This 100% self-sustaining island resort is nestled among lush tropical gardens a few steps to white sand and crystal-clear turquoise waters. The indescribable beauty of the island will beckon you to explore everything from the sandbar to the vibrant house reef. You can even discover the vibrant underseas of Coron with Two Seasons’ unique Molokini transparent kayaks. 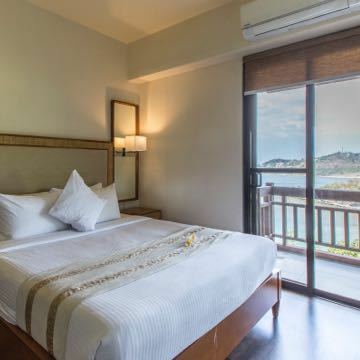 Even if the beach is not immediately in sight at Two Seasons Coron Bayside Hotel, expect to be wowed from the minute you walk into this beautiful bayside property. It’s designed with contemporary interiors, valuable artifacts, and décor that highlights the island’s history and charm. 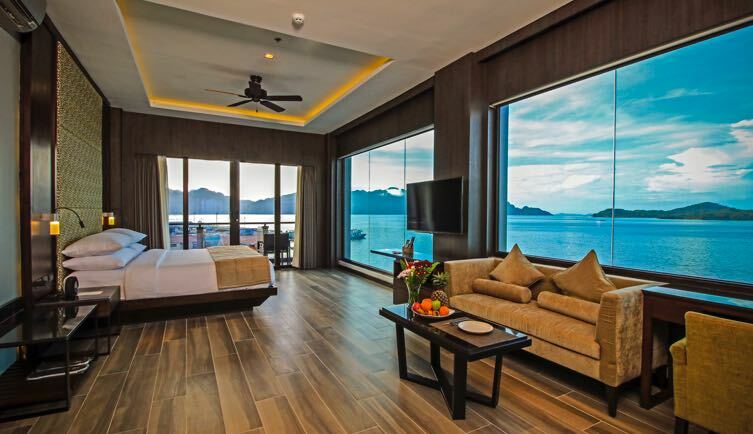 The stunning panoramic view overlooking the Coron Bay is sure to take your breath away. Order the famous Two Seasons 4-cheese pizza at Baya Resto Lounge and get lost in utter seaside bliss. No more than 10 minutes away from the airport, Princesa Island is the only premium oceanfront resort in Puerto Princesa. 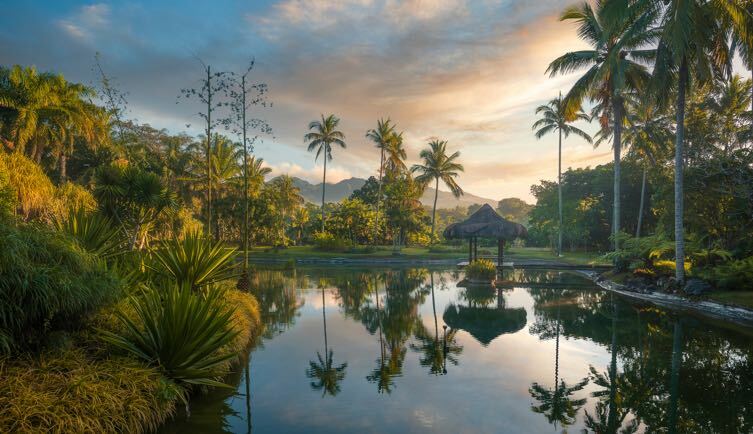 It’s flanked by towering coconut trees, California-style daybeds, and mini bridges that take you across its vast environment. It also boasts of state-of-the-art slides (perfect for the kids!) and its very own sandbar. 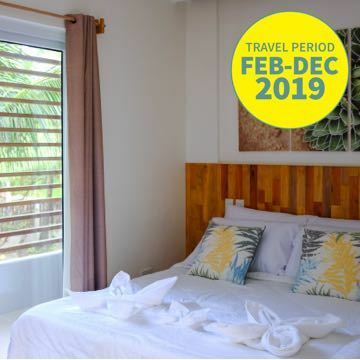 Showcasing the same brand of excellent Astoria service, well-appointed facilities, and signature food, Astoria Palawan is a tropical oasis nestled in Puerto Princesa. Its sustainable furnishings offer vibrant slices of color, and are both decorative and functional. Kids will delight in the Palawan Waterpark, which houses exciting attractions like a surf pool, river ride, water slides, a marine sanctuary, and more. It’s the perfect activity for kids and kids-at-heart! Lounge in the 35-meter infinity pool or bond with the children at the Canopy, where guests can play billiards, foosball, video games, and board games. Astoria Palawan is also built on a 5-hectare mango farm. You can pick ripened fruits to your heart’s content here—they’re all yours for the taking! 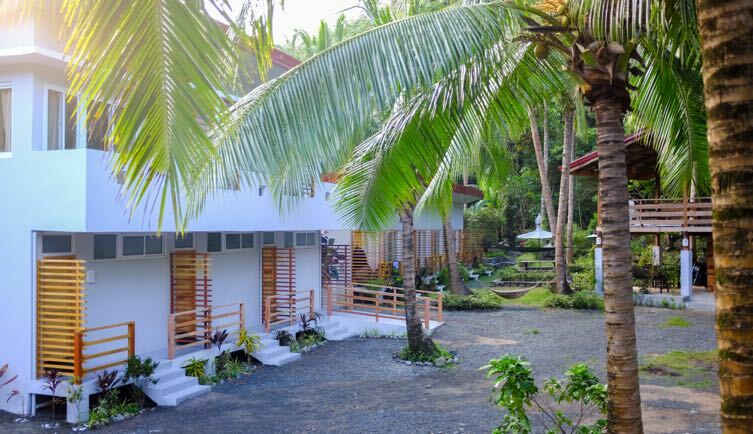 This design-forward boutique hotel in Puerto Princesa will appeal to artists and creatives. 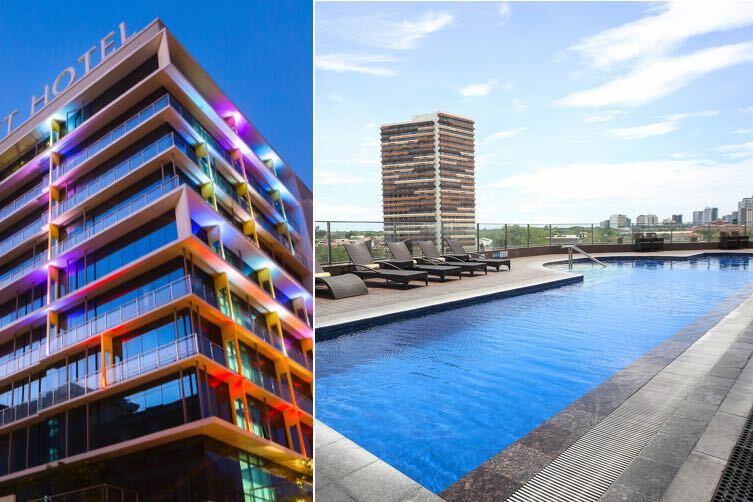 From the moment you step inside the lobby, you’ll immediately notice how the modern architecture and locally-inspired interiors come together to highlight the rich culture of Palawan. Don’t forget to check out the murals, as they celebrate some of Palawan’s most unique attractions. Surrounded by a ring of powder-white sand, azure waters, and a thriving coral reef, this hidden gem is at the very heart of Palawan’s natural beauty. Arena Island is where you can truly get away and feel what it’s like to have an island all to yourself. 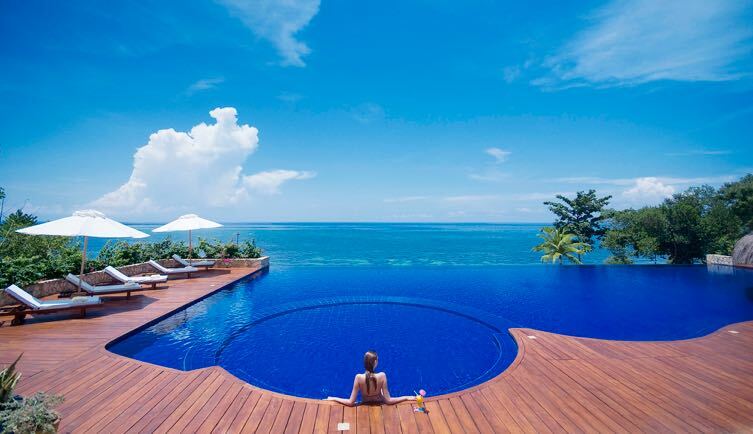 Recently, it won two World Luxury Hotel Awards: Luxury Honeymoon Resort and Luxury Private Island Resorts. It’s been consistently raved about for its raw beauty and the genuine comfort it provides its guests! The vibrant corals that surround the island make it a perfect spot for diving and snorkeling. For the adventurous, this gem offers plenty of activities such as pedal boating, board diving, and kayaking. Puerto Galera is often overlooked in favor of the more popular beach destinations in the country. 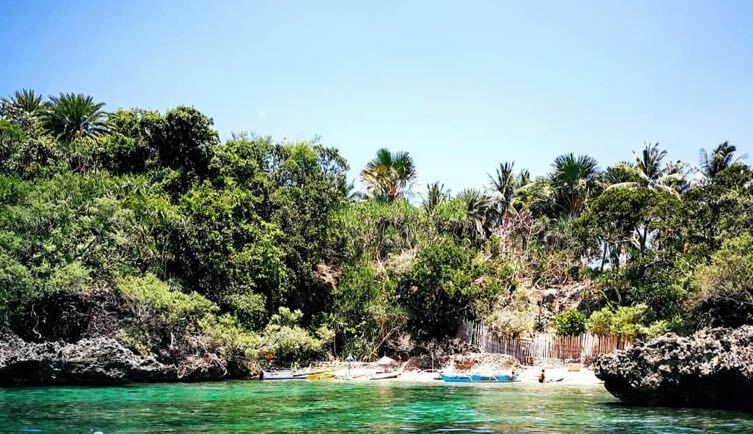 While this Oriental Mindoro spot is more famously known as a diver’s paradise, it will still satisfy your love affair with the beach and all the wonder that comes with it: crystal-clear waters, sun, sand, and the lure of the outdoors. June marks the perfect time for those weekend warriors who want a quick-to-plan, last-minute beach trip right before the rainy season starts. 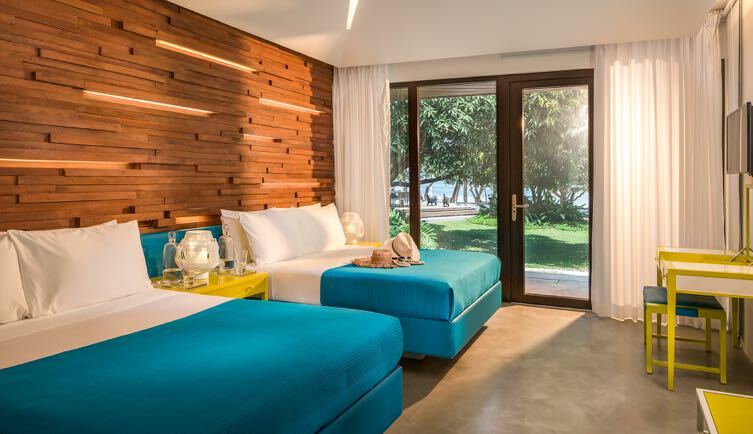 This private island resort is made of 100% all-natural materials—everything in the facility is designed to complement its natural surroundings. It boasts its own beach, a main pool, and a secret pool that’s perfect for those who want a little privacy, making it your best bet if you prefer a no-frills approach to enjoying the island life. Be sure to take advantage of their happy hour promo! Coco Beach has its signature list of 101 Things to Do, so you definitely won’t get bored. Choose from a wide variety of water sports, children’s activities, and nearby excursions. The Queen City of the South offers the best of both worlds: stunning nature hotspots and all of the cosmopolitan city comforts. 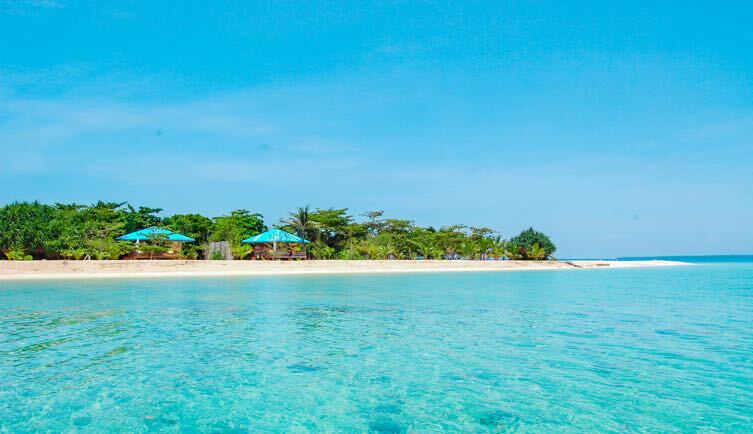 As the premier gateway to Central Visayas, it boasts plenty of hidden beach destinations up north such as Bantayan Island, Santa Fe, and Virgin Island. 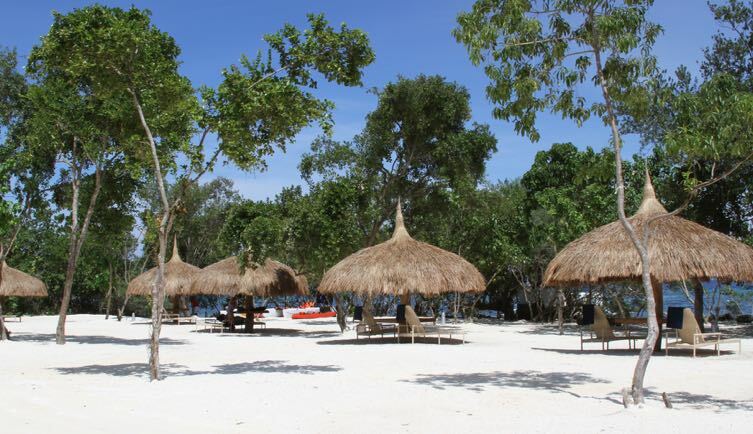 Popular island hopping adventures are also available in the Mactan area. Staying in the city proper? 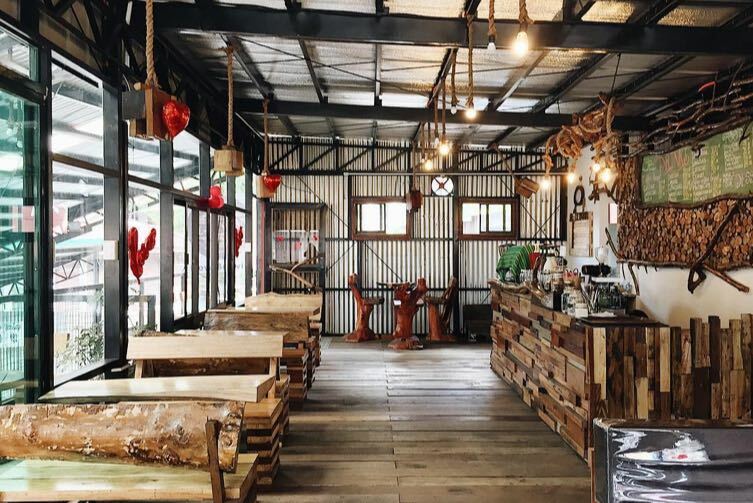 The bustling metropolitan offers plenty of dining haunts, sightseeing, and a nightlife scene that can surely rival Manila’s. 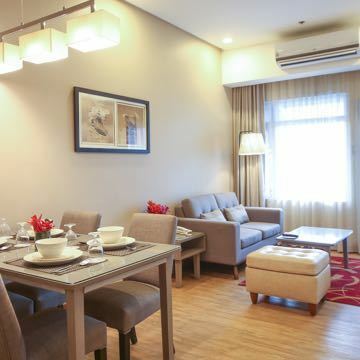 This Bluewater property radiates Filipino warmth, and is the perfect place for family bonding. Take a dip in any of the three stunning pools or sunbathe on a stretch of over 110 meters of white sand, partly shaded with golden coconut palms and lined with thatched native huts and beach beds. Don’t forget to drop by the Marine Wildlife Saltwater Lagoon and see different types of fish up close, such as the blacktip reef sharks, grouper, and clown fish. Or, try out the different kinds of water activities such as paddle boarding or even jet skiing! Being the only development in Sumilon Island, this Bluewater resort has the entire island as an amenity just waiting to be discovered. The island’s famous sandbar is a must-see, but there are also nature trails that are accessible through hiking or biking. Oslob’s famous whale shark-watching site is nearby as well, so you can get up close and personal with the majestic, awe-inspiring giants. While the provincial capital Vigan City often steals the spotlight, not a lot of people frequent the quaint town of Santiago that’s just a one-hour drive away. 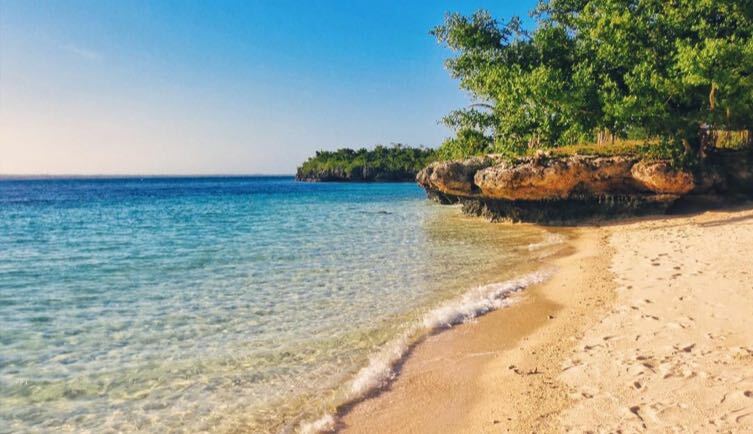 The tranquil Santiago Cove (often dubbed as the “Boracay of the North”) can be found here, a hidden paradise with its quiet atmosphere, powder-fine sand beach, and calm, crystal clear waters. 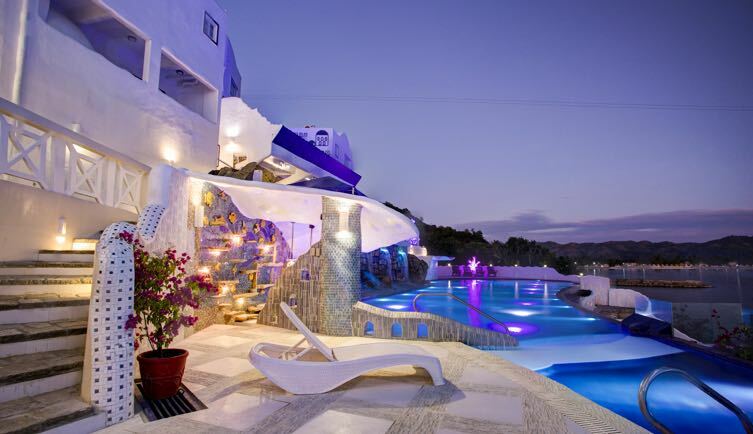 Sitting on a beautiful hilltop in Ilocos is the Santorini-inspired Vitalis Villas. With all-white and decadently cobblestoned architecture emboldened with splashes of blue, it embodies the spirit of the Greek paradise at its best. 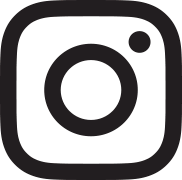 Take a dip in the stunning infinity pool, lounge in their spacious villas, try out a variety of water sports just a short stroll away, or simply spend the day taking your next profile picture in its Instagram-worthy setting. It’s the laid-back vacation you truly deserve. September kicks off the ‘ber (or brrr) months! 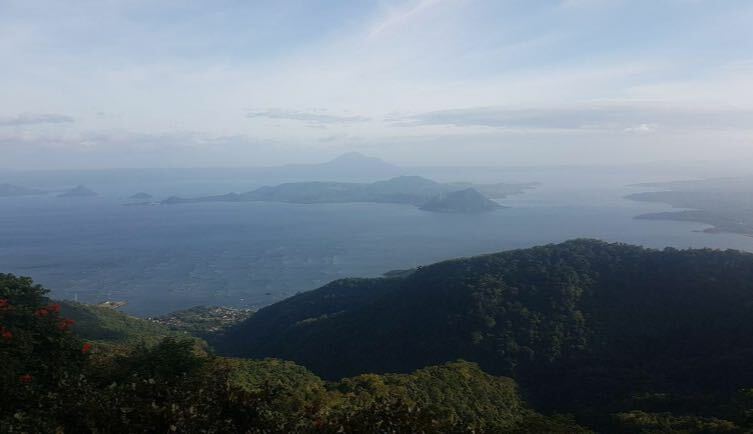 Where else can you enjoy a quick break from the city stress than in nearby Tagaytay? There’s absolutely no shortage of things to do in the Windy Ridge. It’s perfect for families, with family-friendly landmarks such as the Sky Ranch and Picnic Grove. 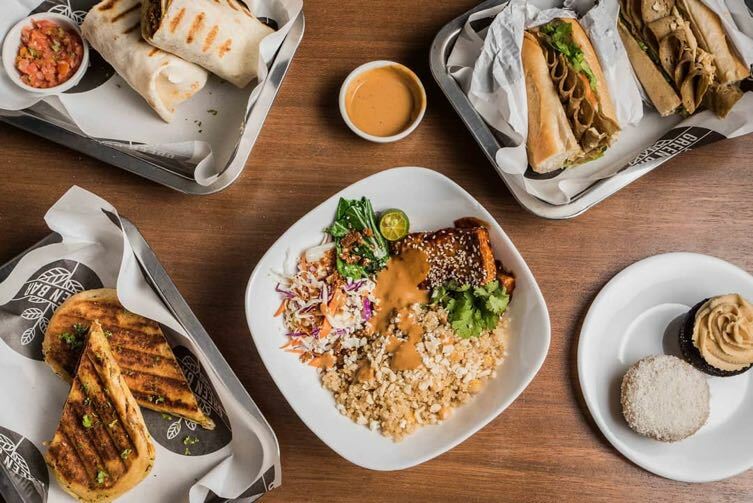 It has also come a long way since being the only go-to spot for a steaming bowl of bulalo. 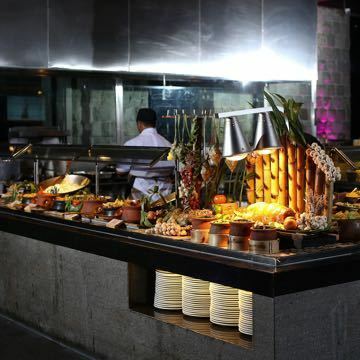 Barkadas and couples alike will delight in the diverse food spots that are conveniently located within the proximity. Another highlight of Tagaytay? Staying in is equally acceptable—it’s that chill. 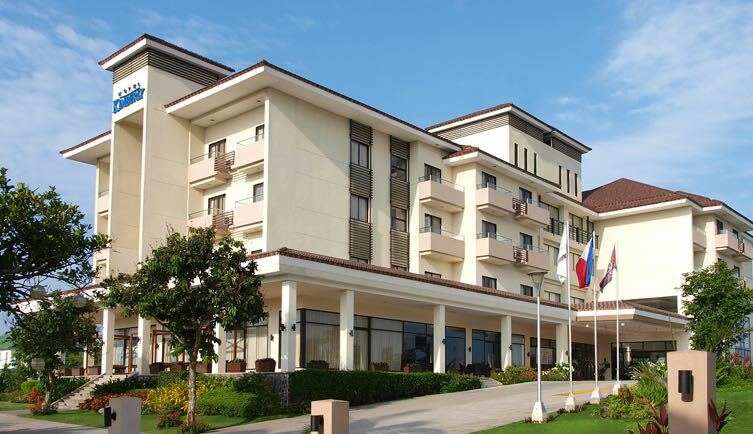 A consistent winner in TripAdvisor’s Top 10 Family-Friendly Hotels and Resorts in the Philippines, Hotel Kimberly remains to be one of the best stays in the area for the whole family to enjoy. It boasts a bevy of different activities that children will have a hard time saying goodbye to. Its family-friendly facilities include the Aquatic Playground and a sprawling petting farm with rabbits, birds, and goats the kids can interact with. 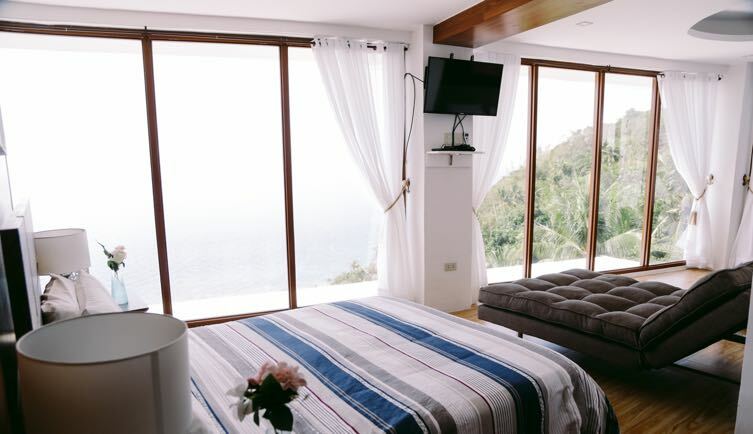 Tucked in a quiet side of Tagaytay, this B&B is ideal for those seeking privacy sans the heavy price. Its warm, personalized service and Zen-like surroundings are designed to make you feel like you’ve found a new home away from home. Not to mention, your furry friends are welcome to tag along as well! October marks the arrival of the best waves and the start of the surfing season in Baler. Surfers can spend the wee hours of the morning catching waves at Sabang Beach while their non-surfing companions can sunbathe and snack on black rice suman, a must-try Baler delicacy. At this laid-back surf town, it’s easy to forget about your city troubles. It’s also a short car or trike ride away from a bevy of natural hotspots and historical landmarks if you’re in the mood for a full day of sightseeing. Nestled on the tranquil side of Baler is a quaint guesthouse that sits in front of the world-famous surf spot, Cemento Beach. 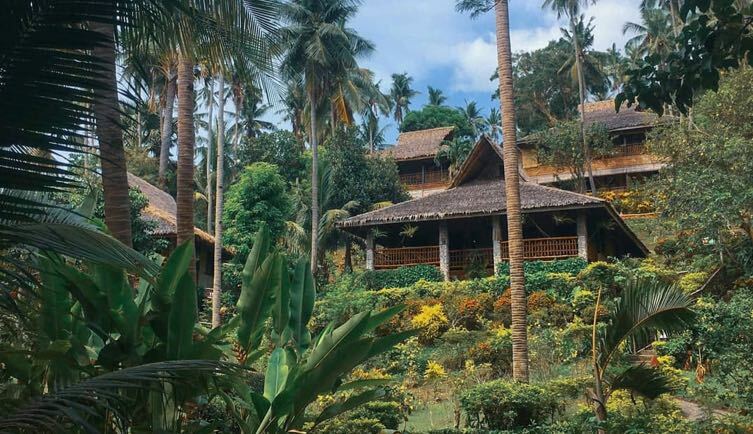 Beautifully decked in Asian-inspired interiors and relics with colorful murals, it makes for a serene retreat from the crowds that Sabang Beach tends to draw in. Kahanamoku’s yoga shala and hammocks are perfect for unwinding after a day of surfing or sightseeing. Their personalized service is also a big highlight here, as they can help you arrange surf lessons, motorbike rentals, and even tours to make the most out of your stay. 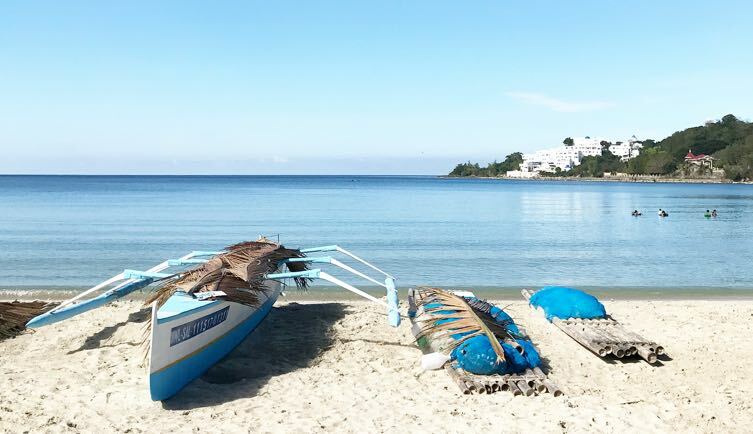 For many, Batangas is the go-to destination if they want a little more action in their R&R time. This province’s impressive list of must-dos range from scuba diving to mountain hiking. Its plethora of beaches, cultural heritage sites, and foodie haunts make up an exciting itinerary—whether it’s just for the day or a weekend-long escape. And it all comes with the added advantage of being just a road trip away from Manila! Avoid the crowds in this popular driving destination by going later on in the year. You’ll be able to enjoy the spacious beaches, or relish the cool breeze in a tranquil nature retreat. Have you always wanted to try glamping under the bright stars, in the cool embrace of fresh mountain air? Tick one off your bucket list as Nayomi Sanctuary Resort is here to make that dream come true. 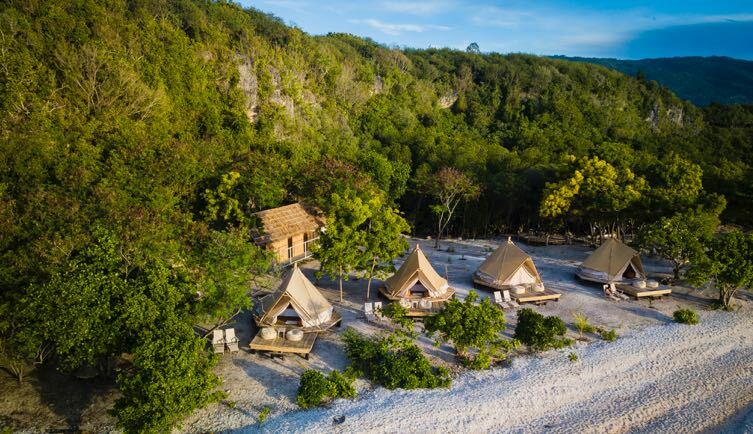 Known to be one of the first glamping spots in the country, Nayomi is a nature-inspired sanctuary where you can relish the Batangas breeze and fully disconnect from technology. 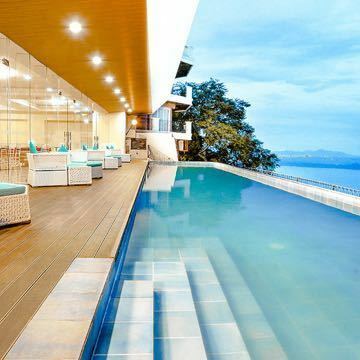 It’s also the closest stay to Taal, serving you fresh views of the Taal Lake. This family-favorite offers bonfire activities and exclusive movie nights at the amphitheater as well. 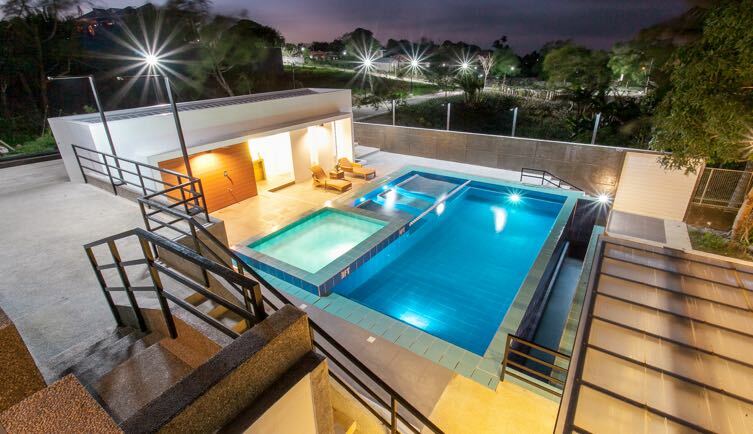 This luxurious, award-winning sanctuary in Lipa City rests on 119 acres of lush greenery and idyllic surroundings at the foothills of Mount Malarayat. It’s a prestigious holistic medical wellness destination where guests can fully immerse themselves in healthy, mindful living with 5-star personalized service. The Farm at San Benito is also an internationally-acclaimed escape, having received over 60 prestigious international awards that span from the “Best Medical Wellness Resort” by an awarding body in Germany, to the World Luxury Awards! 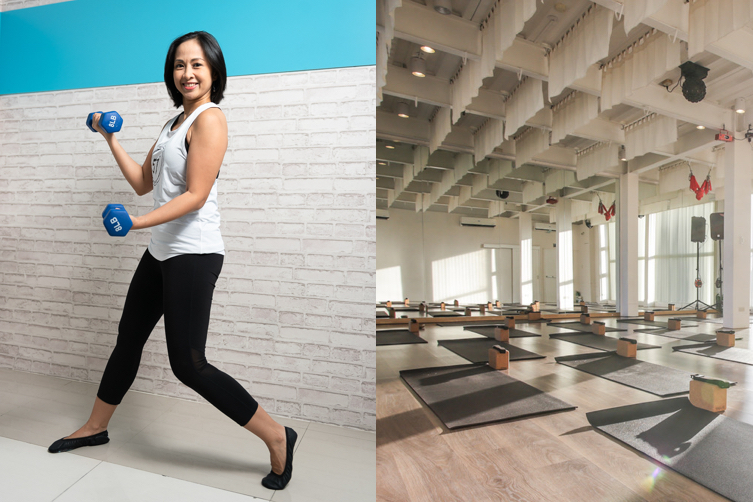 This all-inclusive spacious retreat has also attracted a loyal following of celebrities, such as actress Iza Calzado (she shares how it has become her happy oasis here, Patty Laurel, Kathyrn Bernardo, and Marian Rivera, to name a few. 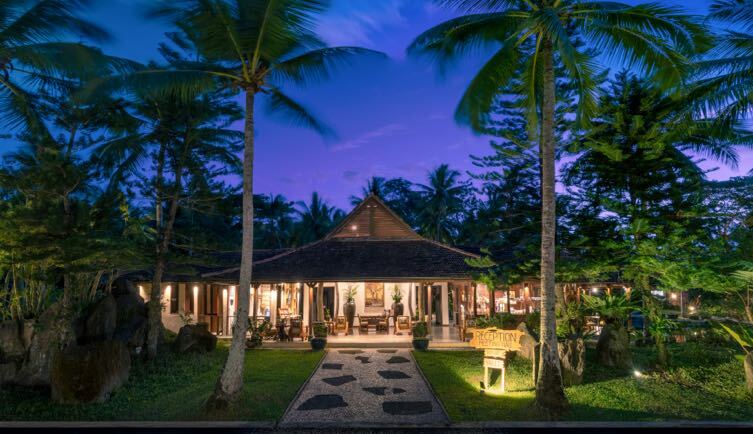 Cintai Corito’s Garden is the answer to your desire for a unique and scenic Balinese getaway without having to leave the country. Don’t forget to take a stroll through the picturesque spots around the resort, taking in everything from the fascinating landscape to the unparalleled architecture (even their pretty stairs can make it to your feed!). TIP: The entrance with guardian statues makes for a gorgeous Instagram-worthy shot! In the mood for an outdoor family adventure? 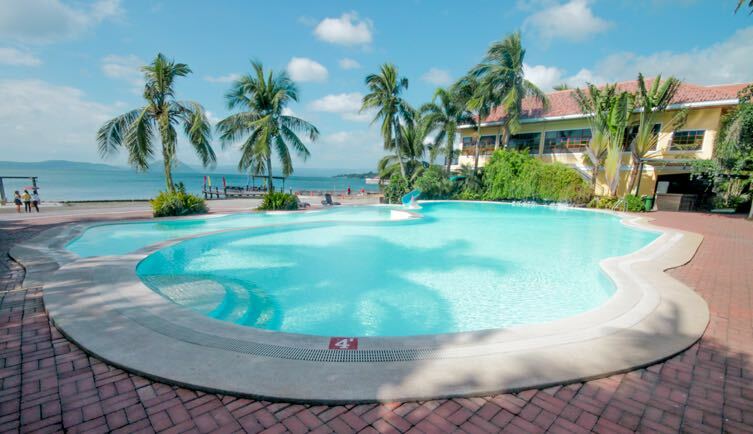 Club Balai Isabel hits the sweet spot. 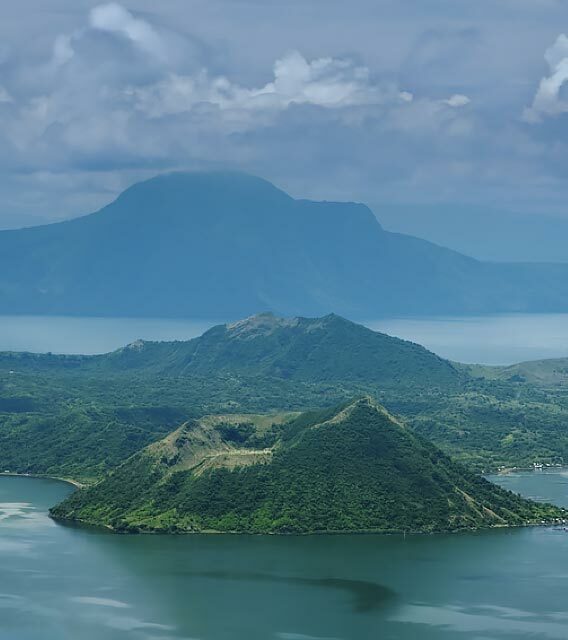 Resting on a 14-hectare oasis off Taal Lake’s shores, this zero-carbon resort is an excellent base for outdoor sports, including volleyball, basketball, tennis, and an obstacle course. 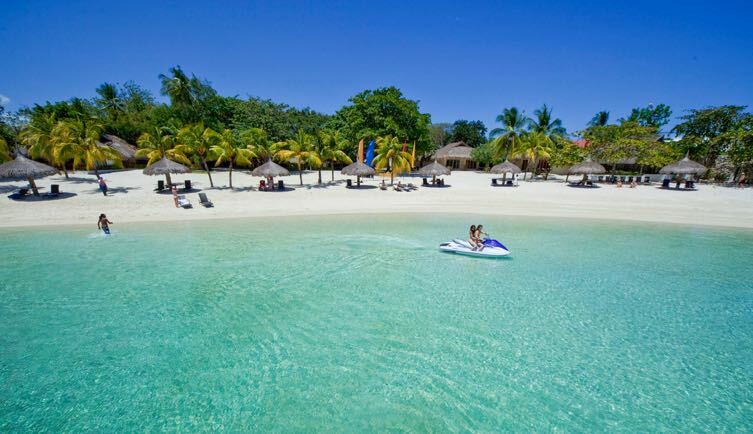 Enjoy thrilling water sports such as banana boat, jet ski, and pedal boat, plus kayaking. 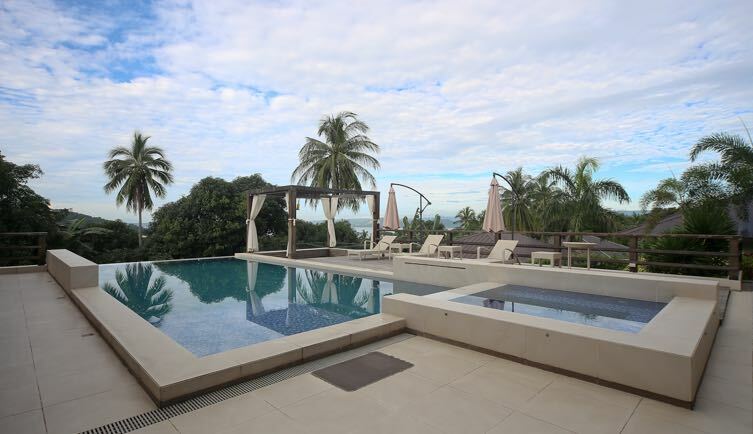 Perched on a hill on the quiet side of Laiya, Batangas is this Mediterranean-inspired private beach house with sweeping views of the sea. Guests have raved about its glorious sunrise, even going as far as hailing it one of the most awe-inspiring sights in the country! 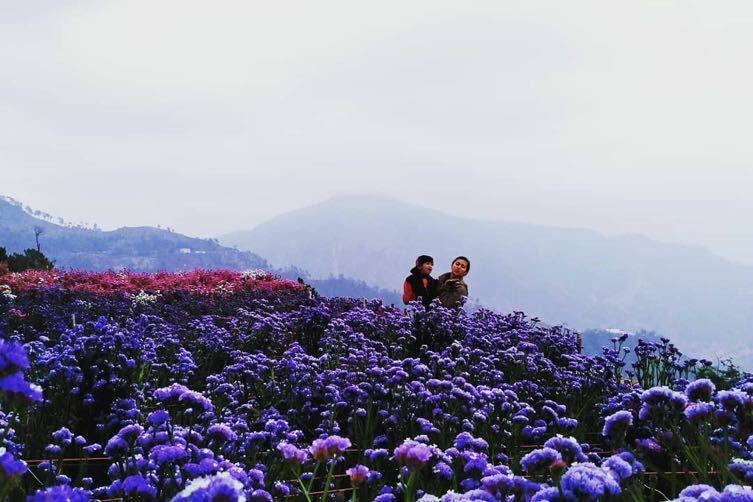 Baguio is where you can get all bundled up in your favorite cold-weather outfits minus the expensive plane fare. Take refuge in the fresh air and the smell of pine trees as you scour the town proper (we recommend exploring on foot!) for good eats and interesting nooks and crannies. While it has its tourist staples down pat, the Summer Capital still has a few surprises up its sleeve. It’s a thriving town of arts, food, and culture—in fact, it’s part of UNESCO's Creative Cities Network! The local beer scene is equally fascinating, so don't forget to drop by a pub and sample the local flavors. 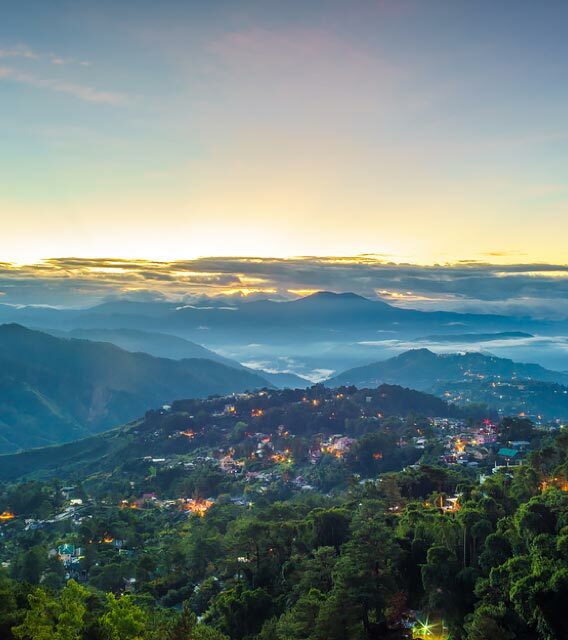 The traffic can get much heavier in December, but the cozy allure of Baguio makes it all worth it. The Manor's sweeping panoramic views, tall pine trees punctuating the sprawling property, and the cool mountain air will certainly leave you smitten. 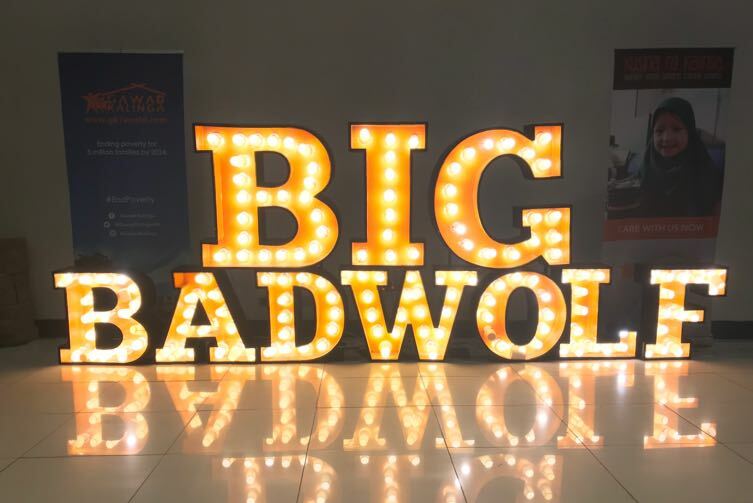 Seamlessly integrating the glamour of a luxury ski lodge in Aspen with the cozy comforts of a modern log cabin, it’s popularly known as the most beautiful stay in Baguio, and for good reason. 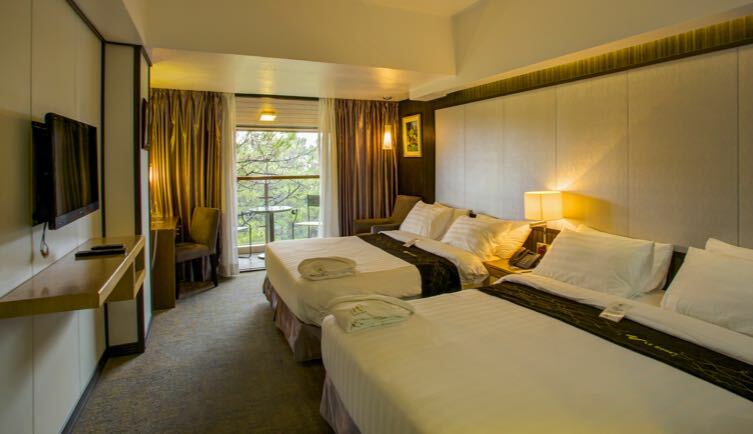 Its convenient location inside Camp John Hay makes your getaway absolutely hassle-free, and you can make the most out of your stay in its 695-acre landscape overflowing with scenic attractions such as the Butterfly Sanctuary and the Bell House. Le Monet's well-loved features include its heated indoor pool, delectable dining options, a relaxing spa, and gorgeous forest views that surround it. 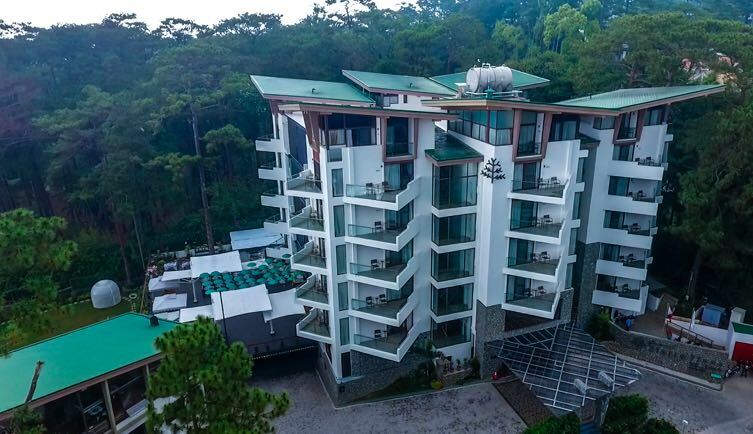 Enjoying a perfect location in one of Baguio’s famous tourist spots, Camp John Hay, Le Monet offers a modern getaway where comfort and convenience are served to you on a silver platter. 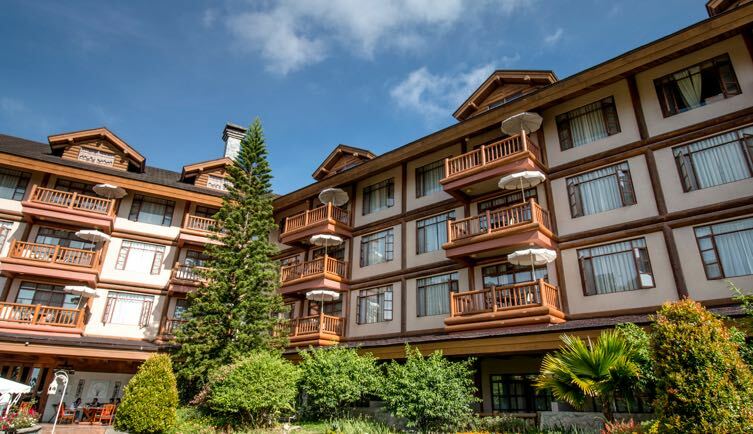 Built at the center of towering pine trees, Grand Sierra Pines Baguio provides a refreshing escape for guests to commune with the environment. Here you’ll find nature, art, culture, and heartfelt hospitality with sustainable green initiatives all rolled into one. Its Cordillera-inspired modern interiors illustrate the story of the city and pay homage to its rich culture and history. 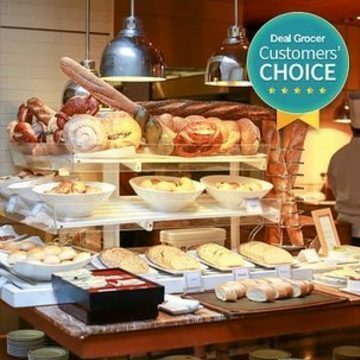 Score Deal Grocer’s exclusive Save Now, Travel Later vacation deals that are valid February-December 2019! 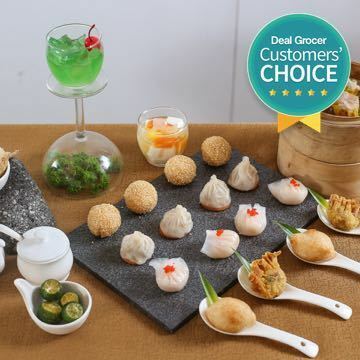 For exclusive deals and local travel stories, sign up for Deal Grocer! 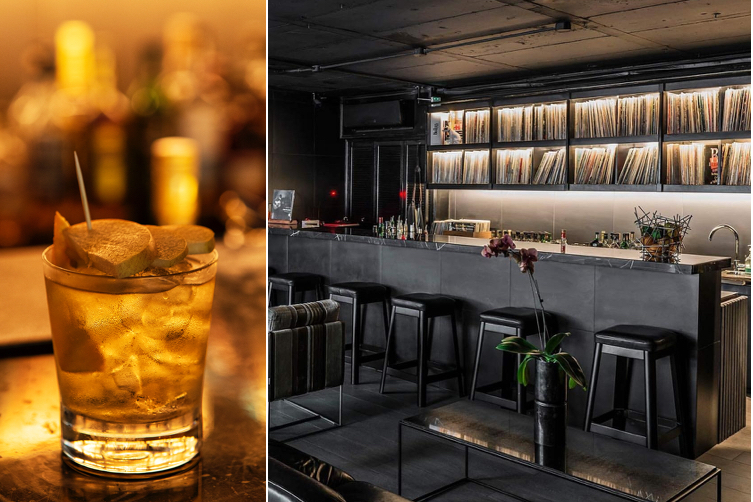 Angie is a third-culture kid with a voracious appetite for adventure and street food delicacies. She has a hard time deciding whether she's more of a beach or mountain person, but she's thankful that the Philippines has a good amount of both.